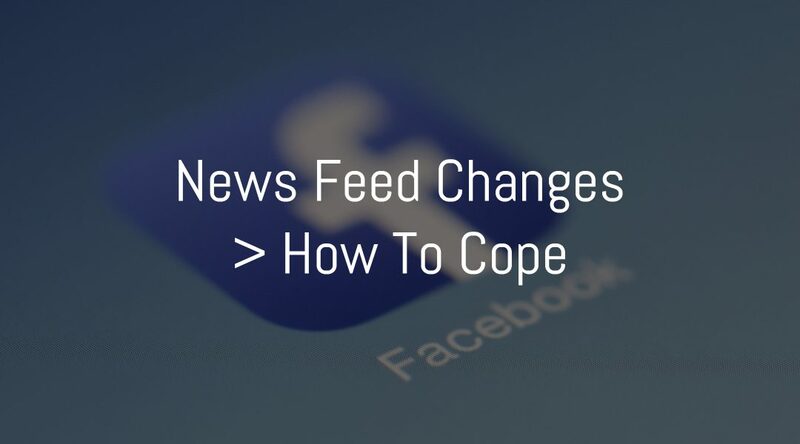 Facebook is overhauling their news feed and, if you rely on reaching Facebook followers from your business page, you will likely be impacted. Knowing this, we put together a plan on how to cope with these changes and help you develop a strategy for the future. What is Facebook planning to do? Facebook’s plan, essentially and surprisingly enough, is to reduce the amount of time people spend on Facebook. They know that people are addicted to scrolling through Facebook, that it’s causing a negative impact on people’s lives, and spreading click bait/viral stories. One of the biggest changes they are making is prioritizing content from family and friends in order to spur interaction and cut down on extended scrolling. If you have a business or administer a business Facebook page, you probably rely upon organic (unpaid) posts to communicate news about your business. For the past few years, it’s been an amazing, and free, way to communicate with customers. Those days are probably over. Facebook has provided free advertising for businesses for years, they got you hooked on it, and now they are taking it away. Sounds pretty dire, right? What is the impact on business pages? Well, at this date, we’re not sure yet if, or what kind of impact we’ll see, but it’s always important to plan and stay on top of these kinds of changes. Organic page reach has been declining over the past few years but typically, if you post quality content, post engagement from your active followers hasn’t been affected too much. This is likely to change. If you get consistently strong engagement on your posts, there’s a good chance that will continue. This is not guaranteed. If you use ‘engagement bait,’ ‘click bait,’ or other spammy tactics to get engagement, your days are numbered. Engagement bait is specifically asking followers to like, comment, share, etc. Click bait is using headlines that make people stop in their tracks and click, but then don’t deliver on their promise. And the list can go on for tactics to avoid. Focusing on the positive – what can you do? The best way forward is to be proactive in light of these changes. And continue engagement and customer support on Facebook, regardless of the circumstances. It’s still a powerful way to interact with customers. Direct followers to change their settings so they will continue to see your posts first in their news feed. Explore creating a Facebook Group, as groups may receive prominence in the new news feed. There may be an opportunity here to continue to give information and support and promote dialogue through both your page and your group. Push to drive newsletters signups from existing Facebook followers, perhaps with an incentive or giveaway of some sort. Promote other social channels – Instagram, Twitter, Pinterest – to Facebook followers. Create objectives for your digital ads, e.g. visiting a purchase page, visiting certain pages or blog posts, etc. Remarketing is even more important – bringing website visitors back to your for updates, new products, newsletter signups, to re-purchase. Explore ads across additional platforms – Twitter promoted posts, Instagram ads, Pinterest ads. Video is still important for conveying news and updates and engaging on social media. Expand your use of live and pre-recorded video this year. Facebook is not the only place for video – YouTube has millions upon millions of users, same with Instagram. Look outside of Facebook. Before you go completely old-school and buy a Yellow Page ad, look at other ways to reach your audience. Search engine optimization is a good long-term play for local businesses, especially in terms of your Google Maps listing. Get online reviews from customers to help you stand out from other businesses. Public relations could be an option – something as simple as forging connections with local reporters. 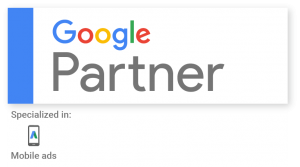 Depending on your business, LinkedIn is a great place to post and engage and Google AdWords is a good way to find customers ready to buy today. There are a ton of options available – you just need to find what works for your business. Whatever the circumstances, your Facebook page is a valuable tool for connecting with customers, providing support, answering questions, and supporting retailer marketing. But, as the saying goes, don’t put all your likes in one social media platform. Online marketing is a constantly changing world – be prepared, plan ahead, and adapt. Oh, don’t forget to follow us on Facebook. Ha! 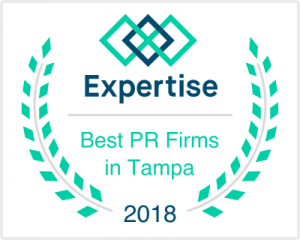 Evoke Strategy is a top digital marketing agency serving Tampa, Orlando, and the rest of the world! Need to talk to someone about your marketing efforts? Reach out below and schedule a no-obligation strategy session today!